The Kindle is one of the most popular e-readers on the market, as you would expect with any product that was produced by Amazon. The product has been amazingly popular and has been through several updates to expand its capabilities. While the newest version of the Kindle Fire can compete with many of the lower end tablets on the market, the Kindle still excels at its original purpose – to function as an e-reading device. 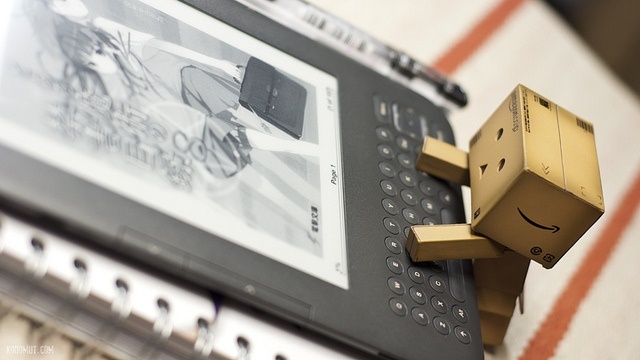 It’s relatively easy to make a purchase from Amazon and have it automatically downloaded to your Kindle, but most people believe they are limited to books purchased from Amazon (or any other online store that connects with your Kindle). However, you can also add most of the old eBooks you already own if you know how to transfer books to a Kindle. Kindle Format or Other Format? The first thing you must determine is what format your old eBooks are in. The Kindle format is AZW3 and your Kindle has the ability to read a few other types of files as well. If the eBooks you want to add are in a format Kindle doesn’t recognize, they just need to be converted. Converting eBook formats is actually very easy once you find a good online eBook converter. The easiest way to transfer books to Kindle when they’re old is to simply transfer them from your computer directly to your Kindle. This is done through a micro USB cable. This likely did not come with your Kindle so if you don’t have one, you will need to go to your local store that carries computer accessories to pick one up. Once you connect the two devices, you can easily transfer files from your computer to your Kindle. There is another option you can use to transfer books to Kindle that most people aren’t aware of. When you purchase a Kindle, you are prompted to register the device with Amazon. This allows you to make purchases and have those purchases sent directly to your Kindle. This is also used if you make online checkouts from your local library. However, a little known fact is that when you set up this account, you are also given a new, Kindle-specific email address. This email address generally looks like this: name_number@kindle.com. In this example, the “name” is your user name and the “number” is a random number that has been assigned to you. If you don’t know your kindle email address, it can be found in the Settings/My Account sections of your Kindle. Once you locate your email address, you can simply email the files you want added to your eBook to that email address. This can be the files containing a new eBook, a PDF, or anything else you want added to your Kindle. Now you know two different ways to transfer books to Kindle. You should be ready to convert your old ebooks and load up your Kindle with some of your old favorites. It also works well to get some new books ready for your beach vacation, business trip or just to have handy anytime you want to read!